It’s not quite on Beacon Hill, but Beacon Hill residents are invited: as part of the Engage Seattle initiative, Mayor Mike McGinn is holding a series of town halls starting with one at the Northwest African American Museum on Tuesday, June 19, from 5-6 p.m. Neighbors from our area are invited to bring their questions and comments for the mayor. The Northwest African American Museum is located at 2300 S. Massachusetts St. (23rd and Massachusetts), and is near the 4, 7, 8, 42, and 48 bus routes. For more information about the event, contact Sol Villarreal at sol.villarreal@seattle.gov. The Oak restaurant's exterior is much improved. As far as we know, the owners are still waiting for the liquor license before they can open. Photo by Wendi Dunlap. No news yet on the opening of the Oak, though much work has been done on the building. The Tippe and Drague down the street is also getting closer to opening, with the recent completion of drywall work in the interior. See the listing at eater.com for further information. MacPherson’s Produce. There is a grand opening reception at 7 p.m.
Luisa Taqueria at Beacon and 15th Avenue South has made a few changes. Starting June 3 they will serve brunch Saturdays and Sundays from 10 a.m.– 3 p.m, with coffee and new brunch dishes in a collaboration with Inay’s. The taqueria will also be open 7 days a week now, from 11 a.m.–9 p.m. on weekdays, and from 10 a.m.–9 p.m. on weekends. The Station (2533 16th Ave. S.) has made a list of dog-friendly coffee shops in Seattle! According to the Wall Street Journal, the bidding wars for homes are back — right here on Beacon Hill. The Lockmore neighborhood blog reports that thieves recently tried a “brazen, balls the size of Texas-style” late evening break-in, netting only a garage door opener. Those interested in the history of our part of Seattle should journey to nearby Columbia City this Friday, June 1, at 5:30 pm for a free all-ages public event celebrating the Southeast Seattle Community History Project. The Community History Project’s goal is to use traditional historic preservation methods combined with community-based research to identify and illuminate the people, places, events, and policies that shaped Southeast Seattle during the post-World War II era. See the Project’s website here. Some of the Project’s activities have included studies by community organizations such as El Centro de la Raza, the Northwest African American Museum, the Wing Luke Asian Museum and the Washington State Jewish Historical Society; essays on geographic and social themes related to the neighborhoods within Southeast Seattle; a new local history app by HistoryLink.org; and a multilingual poster series in Chinese, Somali, Spanish, and Vietnamese. 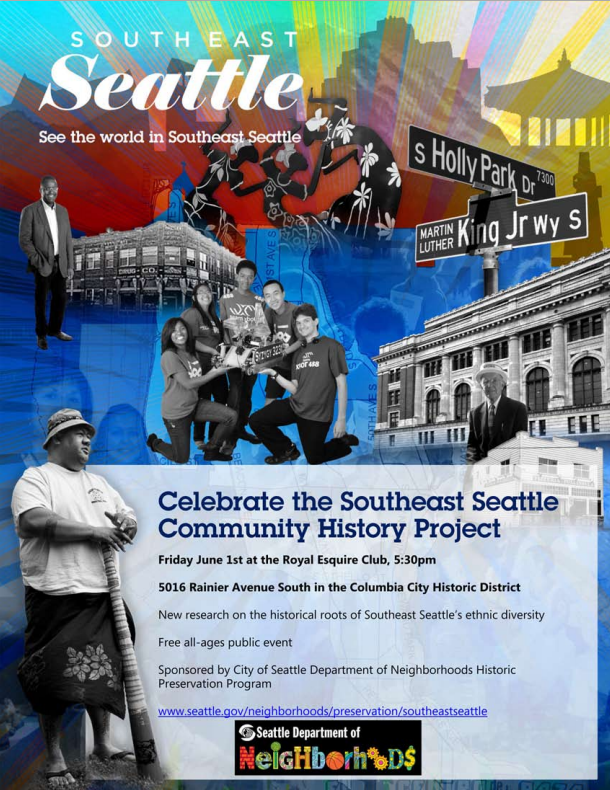 The event is at the Royal Esquire Club, 5016 Rainier Ave. S. in the Columbia City Historic District. Deputy Mayor Darryl Smith and City Councilmember Sally Clark will be there to join the celebration. Free Southeast Seattle posters will be available. For more information, contact Melinda Bloom at 206.682.0228 or melinda.bloom@seattle.gov. Part of Beacon Hill will become a new temporary sculpture in Lake Union Park: “Spiral of Hope.” Thousands of tree branches from Dr. Jose Rizal Park and the greenbelt on the northwest side of Beacon Hill will be gathered and assembled by community volunteers to build the spiral, which will remain at Lake Union Park until June 17. The work is intended to give a diverse group of community members a chance to work together, as well as to stimulate thought and discussions about the issue of family homelessness. “Hope, opportunity, community – these are the words used to describe a new sculpture coming to Lake Union Park. “‘We think art is an inspiring process,’ said Bryan Ohno, president of Urban Art Concept. “Last fall, Ohno was approached by several students from Seattle University who shared a vision. “‘They came to us and were wondering if we could use art as a tool to bring more awareness to family homelessness throughout the state of Washington,’ he said. “Their idea sparked the ‘Spiral of Hope’ project. Ohno worked with Beacon Hill resident Craig Thompson to organize the branch collection. Volunteers gathered branches at Rizal Park last weekend, but the project continues at the park this coming weekend as well (April 21-22). To join the volunteer project, sign up at the Facebook page, send an email to info@urbanartconcept.com with “Spiral Project Volunteer” in the subject line, or call 206-459-6857. Volunteers are also needed to help build the sculpture on weekends starting on Friday, April 27 at Lake Union Park, 860 Terry Avenue North. The sculpture opens with a reception on Friday, May 18. Beacon Hill vs. Ballard: the battle is on! Publicola asked people from Beacon Hill and Ballard to explain “why their neighborhood is the best place to live in the city“ yesterday. 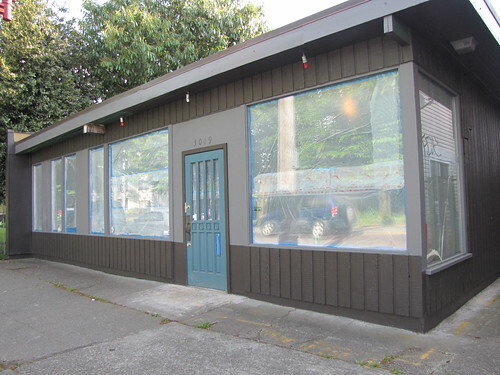 Peggy Sturdivant, a columnist for the Ballard News-Tribune, represented the one-time neighborhood of bungalows and old Scandinavians that has since sprouted condos, townhomes, and trendy shops. Beacon Hill was represented by Craig Thompson, author of the Beacon Lights blog at seattlepi.com. What do you think? We know which neighborhood we prefer. Beaconians heading west from the Hill take note—The Seattle Department of Transportation (SDOT) will close the Spokane Street viaduct (formerly known as the West Seattle Freeway) overnight for three nights for work related to the Spokane Viaduct widening project. Eastbound lanes of the viaduct will be closed from 11 p.m. tonight, February 25, until 5 a.m. on Saturday, February 26. The westbound lanes of the viaduct will be closed overnight on February 27 and 28 from 10 p.m. until 5 a.m. the following day to remove portions of the old structure. During this closure, southbound I-5 traffic will be directed to the Forest Street exit to access surface streets. Northbound I-5 traffic and westbound traffic from Columbian Way will be detoured to surface streets at 6th Avenue South. You can see more information about the project at the Spokane Street Viaduct Widening Project page. 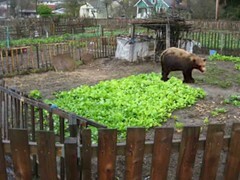 OK, there really wasn't a bear on Beacon Hill yesterday. But if there had been, it would have looked like this! Thanks to Joel Lee in the Beacon Hill Blog photo pool for the laugh. A new applicant, Young Rae No, has applied to assume the liquor license at the M.C. Food Store at 4800 Beacon Avenue South (Beacon and Columbian). The license being applied for is “Grocery store — beer / wine”: a “license to sell beer and/or wine for off-premises consumption in bottles, cans, or original containers.” See the notice here. A Seattle Neighborhoods Actively Prepare (SNAP) disaster preparedness program is coming to North Beacon Hill, with a workshop on June 4. Presenters from the city’s Office of Emergency Management will discuss safeguarding your home before a disaster happens, quake-safe actions, and building neighborhood preparedness teams. The workshop is free and open to all, at the Beacon Hill Library, 2821 Beacon Avenue South, Thursday, June 4, 6:30 – 8:00 pm. 37th District Representative Eric Pettigrew is hosting a community access meeting about health care issues on Monday, June 1, at Mt. Zion Baptist Church, Room 209, 1634 19th Avenue. The meeting is free and open to the public. Hello Bicycle is hosting their first Beacon Hill group bicycle ride this Saturday. All are welcome. Be at Hello Bicycle at 10 am for a moderate speed bike ride with the group to Alki Beach, and return just after noon for tacos from El Quetzal. Hello Bicycle is at 3067 Beacon Avenue South.